The big event this week is Once upon a time… Phnom Penh City, at the Institute Francaise, in collaboration with the Heritage Mission of Cambodia and Bophana Center. The city has again recently been keen to remind us that it was once mostly lakes and wetlands, and sometimes the reclamation seems only temporary: this event examines the history of the urban space of Phnom Penh, featuring two exhibitions, film screenings, conferences and an architecture contest. The launch commences at 6.30 pm this evening, Tuesday 30, at the Institute. Two parallel exhibitions, opening tonight and running until November 9, take different views on the development of the city, one via archival documents, the other a contemporary photographic view through the works of Chhay Kanha and Jean-François Perigois. Screenings through the weekend, Thursday 9 to Saturday 11, then jumping to Saturday 18, include a range of feature films on the theme of the city, from Lang’s Metropolis to Fellini’s Roma; Rithy Panh’s One Night after the War to Sihanouk’s Twilight. On Wednesday 1 at 6 pm, Meta House presents Transitions, an exhibition curated by Tith Veasna that looks at the political, economic and social change brought about in Cambodia during the UNTAC period. Five Cambodian artists – Chan Vitharin, Chhhim Sothy, Ouk Socheaty, Suos Sodavy and the curator herself – use abstract painting, photography and installation to develop the themes of change, suffering, and finding positive transitions. For a more musical flavour of Phnom Penh, make sure you follow weekly gig guide LengPleng.com as well. Tuesday 30 from 6.30 pm at the Institute Francaise, as part of the Once upon a time… Phnom Penh City event, two parallel exhibitions, running until November 9, take different views on the development of the city, one via archival documents, the other a contemporary photographic view through the works of Chhay Kanha and Jean-François Perigois. More infoOn Wednesday 1 at 6 pm, Meta House presents Transitions, an exhibition curated by Tith Veasna that looks at the political, economic and social change brought about in Cambodia during the UNTAC period, featuring Chan Vitharin, Chhhim Sothy, Ouk Socheaty, Suos Sodavy and the curator herself. Thursday 9 to Saturday 11, at the Institute Francaise, as part of the Once upon a time… Phnom Penh City event, a range of feature films on the theme of the city, from Lang’s Metropolis to Fellini’s Roma to Rithy Panh’s One Night after the War. Upstairs at Java Cafe: Inverted Sewer comprises new paintings by Meas Sokhorn, a bright red return exploring the surface and the undercurrents of Phnom Penh life. (St 830 & Sothearos) presents Age, works by Thai artist Padungphon Rincom on the nature of time. More infoChinese House hosts Aranya, works by Thai artist Aranya Khunchawattichai, dwelling on childhood and growing up. A new exhibition of works by Em Riem is currently on display in the Lotus Pond Gallery at The Plantation (St 184). Hello Sally! features 17 abstract works. Romeet Gallery (St 178 near St 19) presents a multi-disciplinary exhibition Time to think featuring work by Anida Yoeu Ali, Sou Sophy, Oeur Sokuntevy, Linda Kert, Tes Vannorng, Khchao Touch and Sao Sreymao. At Le Saint Georges, tapas bar and restaurant (#111, St 136), Phnom Penh Streets by DownTown Collective, a photography exhibition featuring works by Jean-Francois Perigois and Jason Sacchettino. Passion for Arts exhibition at Palate Angkor Restaurant and Bar in Siem Reap, is comprised of 45 paintings by 14 students of the Small Art School. Runs until October 31. The Shinta Mani Market at Shinta Mani Hotel in Siem Reap features lots of arts, crafts for sale, as well as traditional performances. Every Saturday and Sunday 4pm – 9pm. 3 NGO’s 1 teacher exhibition at Joe to Go cafe and restaurant in Siem Reap. A super cute exhibition of children’s artwork from three different NGOs. Old Retold at 1961 CoWorking Lab in Siem Reap. An eclectic exhibition of contemporary artworks and South East Asian antiques. Despite the quiet week for Pchum Ben, some intriguing events are being held on the outskirts of Kumnooh’s regular bailiwick. Down in Kampot on Saturday 27 at Lightbox, Made in Cambodia will bringing together some of the best and biggest skaters, breakers, beatboxers and street artists to celebrate street cultures in Cambodia. One night of exhibitions and performances from 6 pm, with after party to follow. Saturday 27 from 6 pm at Lightbox in Kampot, Made in Cambodia will bring together some of the best and biggest skaters, breakers, beatboxers and street artists to celebrate street cultures in Cambodia. One night of exhibitions and performances with after party to follow. Samai Distillery (St 830 & Sothearos) presents Age, works by Thai artist Padungphon Rincom on the nature of time. Chinese House hosts Aranya, works by Thai artist Aranya Khunchawattichai, dwelling on childhood and growing up. More infoA new exhibition of works by Em Riem is currently on display in the Lotus Pond Gallery at The Plantation (St 184). Hello Sally! features 17 abstract works. Tonight, Tuesday 16 at 6 pm, Meta House hosts the opening of a photographic exhibition Access to Justice, by Kimlong Meng, that “tells the stories of 12 people able to settle small scale conflicts through mediation.” The exhibition, with the support of Oxfam Novib, highlights the work of the Cambodian Human Rights and Development Association (ADHOC) and its innovative Alternative Dispute Resolution (ADR) Program. Runs to 24 September. On Thursday 18, from 6 pm, the recently opened gallery Space Four Zero (St 118 near St 5) presents Dara Puspita: The Greatest Girl Group That Never Was, a collection of art prints from Sticky Fingers celebrating this groundbreaking act in 1960s Indonesia. The Cambodian Space Project will be providing additional entertainment. Speaking of the CSP, their ambitious adventures are continuing with the development of a psychedelic rock opera, Hanuman Spaceman, to be staged in Kampot later this year before touring. The production team is seeking arts and handy and keen persons to put together all manner of bamboo constructions, props, masks and costumes. If you’re interested in being a part of Hanuman Spaceman’s stage , please contact via email (Harley Stumm (harley [at] intimatespectacle.com.au or thecambodianspaceproject [at] gmail.com). For a change of gears, on Friday 19 at 9 am, Cambodian Living Arts is holding an event to celebrate the award of 38 new Arn Chorn-Pond Living Arts Scholarships for the school year 2014-2015. Scholarships students will share stories and perform live. If you would like to attend, please RSVP to Heng Samnang at samnang [at] cambodianlivingarts.org or 097 996 1606. This is only part of the story: for a more musical flavour of Phnom Penh, make sure you follow weekly gig guide LengPleng.com as well. 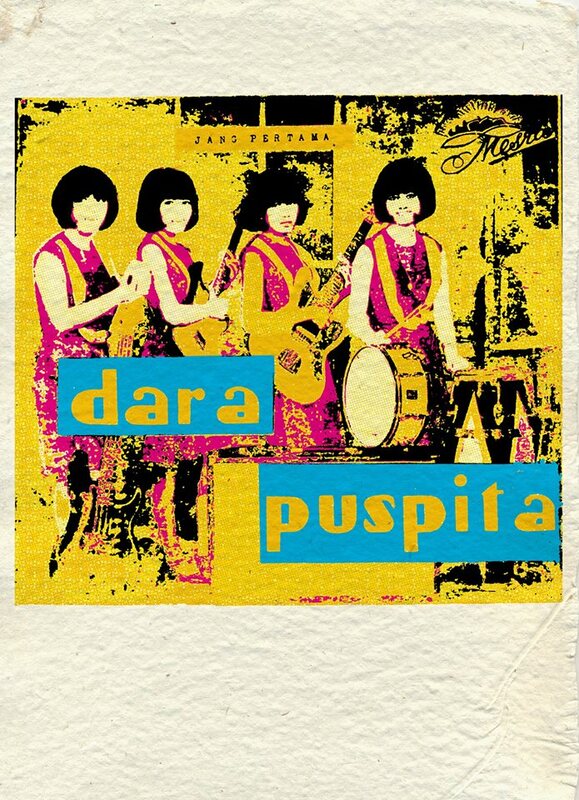 Thursday 18 from 6 pm, new gallery Space Four Zero (St 118 near St 5) presents Dara Puspita: The Greatest Girl Group That Never Was, a collection of art prints from Sticky Fingers celebrating this groundbreaking act in 1960s Indonesia. The Cambodian Space Project will be providing additional entertainment. Friday 19 at 9 am, Cambodian Living Arts celebrates the award of 38 new Arn Chorn-Pond Living Arts Scholarships for the school year 2014-2015. RSVP to Heng Samnang at samnang [at] cambodianlivingarts.org or 097 996 1606. A new exhibition opens upstairs at Java Cafe’s on Wednesday 10 at 6.30 pm. Inverted Sewer comprises new paintings by Meas Sokhorn, a bright red return exploring the surface and the undercurrents of Phnom Penh life. On Thursday 11 at Meta House, two recent Cambodian documentaries, Break the Silence (2013) and Even a bird needs a nest (2012), will be screened, to be followed by Q&A sessions with the filmmakers and human rights activist Tep Vanny. From 7 pm. Back to back exhibitions featuring Thai artists open this week. On Thursday 11, at 6:30pm, at Samai Distillery (St 830 & Sothearos), Age, works by Padungphon Rincom on the nature of time; followed on Friday 12 at 6.30 pm at Chinese House by Aranya, works by Aranya Khunchawattichai, dwelling on childhood and growing up. Kicking off on Friday 12 is the inaugural Phnom Penh International Film Festival: ten days of screenings, 70 brand new independent films representing everywhere from Italy to Iran, Canada to Cyprus, Singapore to Sweden, Ecuador to Korea. Meta House hosts the opening, then screenings are dispersed amongst the The Flicks 1, 2 and 3 until Sunday 21. Opening night includes three features, including Scars of Cambodia by Alexandre Liebert and Emilie Arfeuil. At Cine Club at Bophana Center on Saturday 13, the guests are young Cambodian filmmakers who took part in the Filmcamp Trip Short Festival 2014 organised by Kon Khmer Koun Khmer. The screenings will be in the original version with EN subtitles and followed by discussion with the producers in English and Khmer. From 2 pm. To close this week, a request from a Kumnooh reader: the painting below was purchased in 2012 in a Phnom Penh workshop, signed Kit 13. 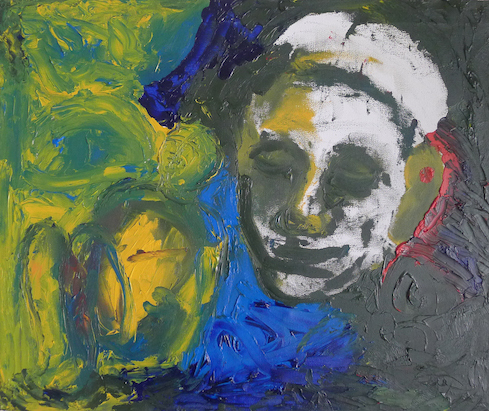 The artist produced abstracts like the example, and also painted more realistic-styled Cambodian faces. If anyone recognises the work, or can offer a lead as to how the purchaser could make contact and purchase more paintings, please reply to fabianhipp@kumnooh.com. Wednesday 10 at 6.30 pm, upstairs at Java Cafe: Inverted Sewer comprises new paintings by Meas Sokhorn, a bright red return exploring the surface and the undercurrents of Phnom Penh life. Even more infoThursday 11 at 7 pm at Meta House, two recent Cambodian documentaries, Break the Silence (2013) and Even a bird needs a nest (2012), will be screened, to be followed by Q&A sessions with the filmmakers and human rights activist Tep Vanny who is featured in the latter doco. Thursday 11 at 6.30 pm at Samai Distillery (St 830 & Sothearos): exhibition opening for Age, works by Thai artist Padungphon Rincom on the nature of time. Friday 12 at 6.30 pm at Chinese House, exhibition opening for Aranya, works by Thai artist Aranya Khunchawattichai, dwelling on childhood and growing up. Friday 12: opening night for the inaugural Phnom Penh International Film Festival. Opening night at Meta House includes three features, including Scars of Cambodia by Alexandre Liebert and Emilie Arfeuil. Subsequent screenings are at The Flicks 1, 2 and 3, until Sunday 21. Saturday 13, Cine Club at Bophana Centre features films from Filmcamp Trip Short Festival 2014 organised by Kon Khmer Koun Khmer, followed by discussion with the producers in English and Khmer. From 2 pm. More infoRomeet Gallery (St 178 near St 19) presents a multi-disciplinary exhibition Time to think featuring work by Anida Yoeu Ali, Sou Sophy, Oeur Sokuntevy, Linda Kert, Tes Vannorng, Khchao Touch and Sao Sreymao. The week starts late, on the evening of Friday 5, with the opening of a new exhibition of works by Em Riem in the Lotus Pond Gallery at The Plantation (St 184). Hello Sally! features 17 abstract works. From 6 pm. Phnom Penh Community College is holding a full day documentary photography workshop on Saturday 6, 8.30 am – 5 pm. Bookings essential. On the evening of Saturday 6, at 7 pm, Sophiline Arts Ensemble presents a programme of new and experimental dance, Tompeang Snong Russey. Three original pieces, drawing on the classical tradition, will have their Cambodian premiere. Tickets are 10,000 riels and available at the door. The venue is the Khmer Arts Theater, (Street 115 in Takhmao, 300 meters from where National Road 2 meets the Preakhou Bridge). Roundtrip bus service is available on the night of the performance leaving from the Phnom Penh Center at 6.15 pm for an additional 10,000 riels. Seating is on a first-come, first-served basis. Contact 023-425-780 or email info@khmerarts.org. Upstairs at Meta House on Sunday 7 at 7 pm, there is a screening of We Want (U) To Know, a participatory documentary, directed by Nou Va and Ella Pugliese, in which Cambodian villagers describe their experiences during and after the Khmer Rouge period. A Q&A with co-director Nou Va follows. Downstairs at Meta House on Sunday 7 at 8 pm, the ninth in the Classical Concert Series features court music from France and Germany performed by Steve Retallick (violoncello) and Anton Isselhardt (flute). Admission $8. Kumnooh has been fortunate to receive a quick rundown of some current exhibitions in Siem Reap from our Creative Cambodia correspondent. Passion for Arts exhibition at Palate Angkor Restaurant and Bar, is comprised of 45 paintings by 14 students of the Small Art School. Runs until October 31. The Shinta Mani Market at Shinta Mani Hotel features lots of arts, crafts for sale, as well as traditional performances. Every Saturday and Sunday 4pm – 9pm. 3 NGO’s 1 teacher exhibition at Joe to Go cafe and restaurant. A super cute exhibition of children’s artwork from three different NGOs in Siem Reap. Old Retold at 1961 CoWorking Lab. An eclectic exhibition of contemporary artworks and South East Asian antiques. Friday 5 from 6 pm, a new exhibition of works by Em Riem in the Lotus Pond Gallery at The Plantation (St 184). Hello Sally! features 17 abstract works. Saturday 6, 8.30 am – 5 pm, Phnom Penh Community College full day documentary photography workshop on Bookings essential. Saturday 6 at 7 pm, Sophiline Arts Ensemble presents a programme of three pieces of new and experimental dance, Tompeang Snong Russey. The venue is the Khmer Arts Theater, (Street 115 in Takhmao, 300 meters from where National Road 2 meets the Preakhou Bridge). Roundtrip bus service is available. Contact 023-425-780 or email info@khmerarts.org. Sunday 7 at 7 pm at Meta House, screening of We Want (U) To Know, a participatory documentary, followed by Q&A with co-director Nou Va.
Sunday 7 at 8 pm at Meta House, the ninth in the Classical Concert Series features court music from France and Germany performed by Steve Retallick (violoncello) and Anton Isselhardt (flute). Admission $8. An augmented and refreshed Chhan Dina exhibition has opened at the Insider Gallery at the InterContinental. Cages Torn Open: Further and Freer promises new works, both oils and sculptures, and limited edition prints of selected paintings, offering expanded exploration of the themes of freedom and freedom thwarted. Runs to September 8. 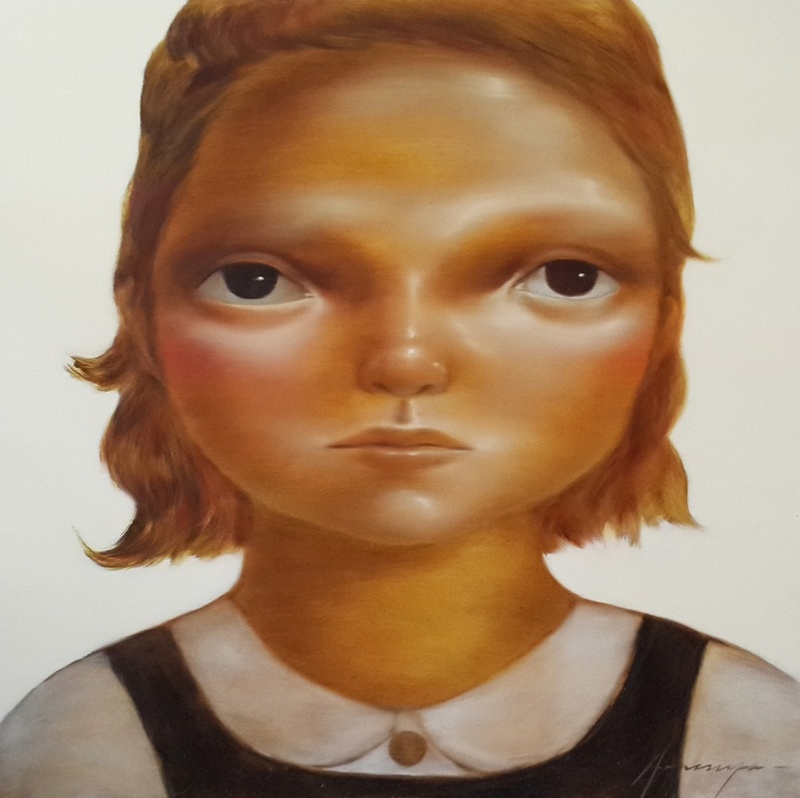 Chinese House presents an exhibition by Thai artist Jitti Jumnianwai entitled Robots, featuring a range of his mixed technique paintings inspired by science fiction and children’s toys. Java Café upstairs hosts new works by Nov Cheanick, entitled Rain. “In this poetic, introspective work, he calls for action—not the storm-the streets kind of action, but the kind of action that transforms the spirit.